The Family Room Wellness Associates has been open since 2012 to the South Florida community. Originally named The Family Room Psychotherapy Associates, our name change reflects the diversity of services we presently offer. 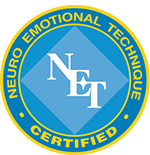 Our team of licensed professionals all focus on helping you reach your goals, emotionally and physically, through resources such as therapy, alternative medicine techniques, coaching, chiropractic and nutrition.